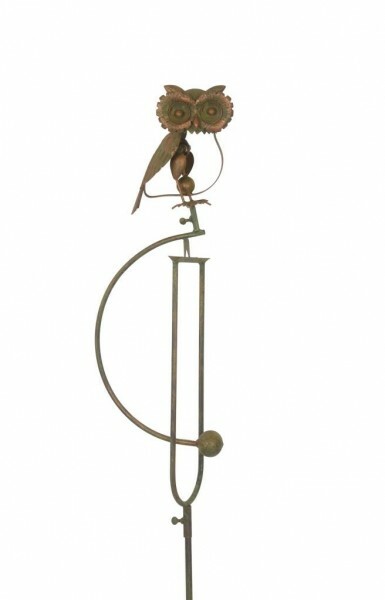 METAL OWL GARDEN ORNAMENT WITH STAKE - SWINGS IN THE BREEZE. A creative ornamental feature that rocks in the wind. This high quality, metal constructed decoration is finished in an antique bronze colour. 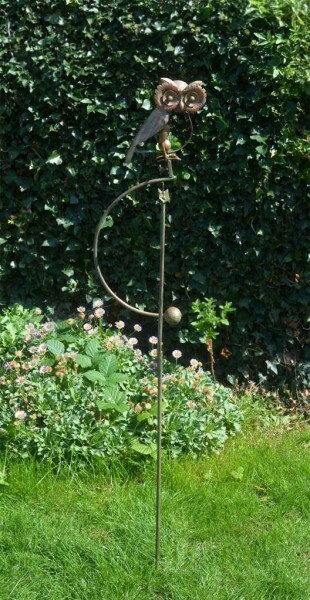 It will be a beautiful addition to any garden & make a wonderful gift. Approx. size: 23 x 12.5 x 137.5cm. A creative ornamental feature that rocks in the wind. 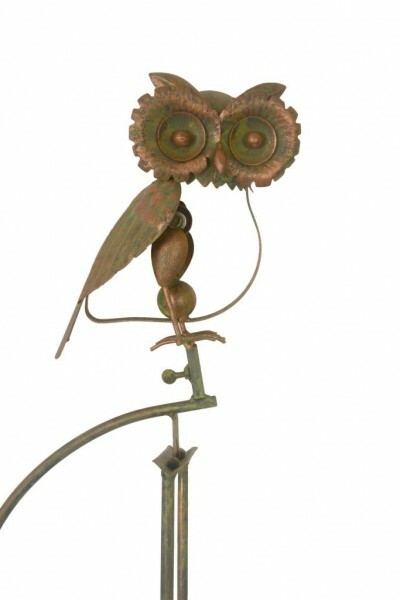 This high quality, metal constructed decoration is finished in an antique bronze colour. It will be a beautiful addition to any garden and make a wonderful gift. Approx. size: 23 x 12.5 x 123.5cm.